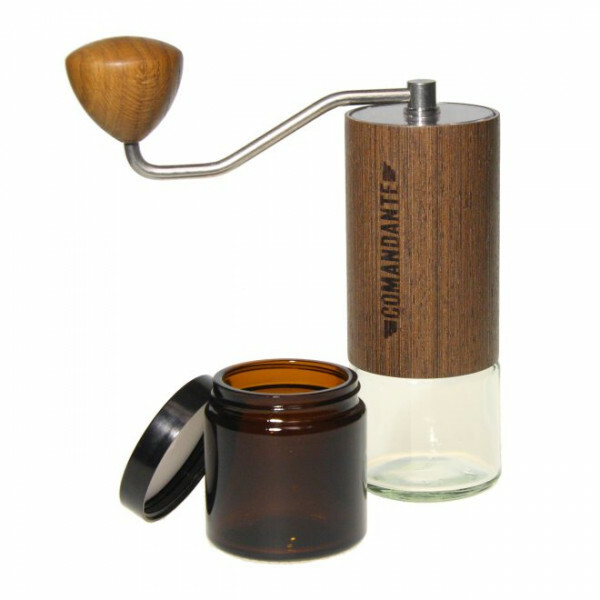 Hand coffee grinder Comandante wood » BEST PRICE! The Comandante Nitro Blade C40 Mark 3 is one of the best hand coffee grinder you can buy for money right now. The Comandante mill has extremely sharp grinding discs made of special steel. 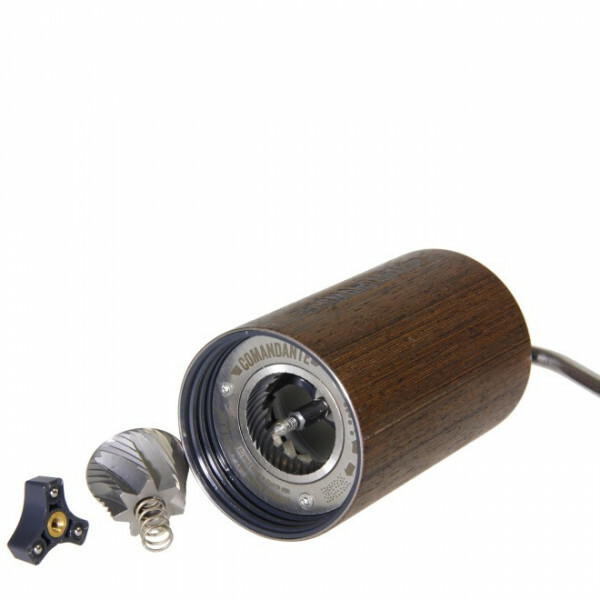 The Comandante C40 Grinder fits very well in the hand, is easy to use and is perfect for private use. Due to the different grades in the degree of grinding this is suitable for fine Espresso grindings as well as for Filter coffee grindings. Professional hand grinder for coffee - with the C40 Nitro Blade Comandante has again increased the quality.